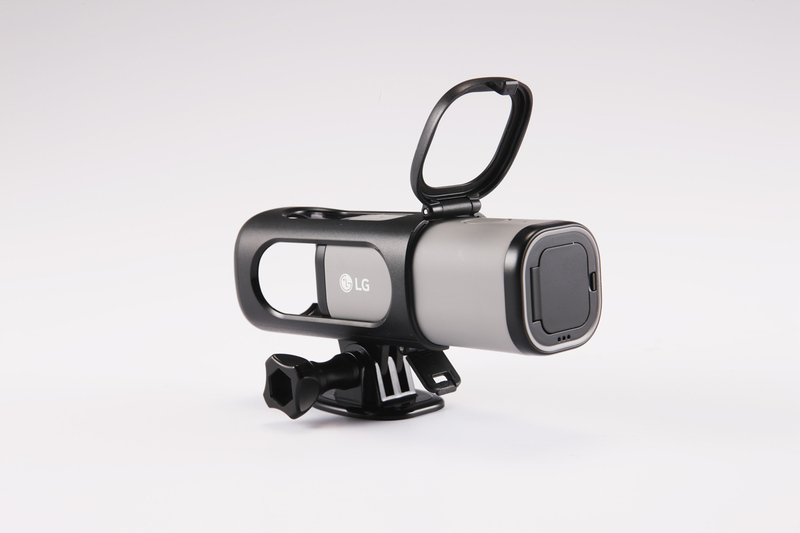 To add to the limited number of “Friends” currently available for the world’s smartphones, LG last night introduced the Action CAM LTE, which as the name suggests, is an action camera that has LTE connectivity. It’s also powered by a Snapdragon 650 processor and can stream directly to YouTube Live, which is pretty sweet for an action cam. Since this is an action camera, LG made sure it’s ready for your abuse and built it to be rated at IP67, which means it is dust and sand proof, but can be dunked in up to one meter of water for up to 30 minutes at a time. It should work with “various” mounts and accessories from third parties as well. 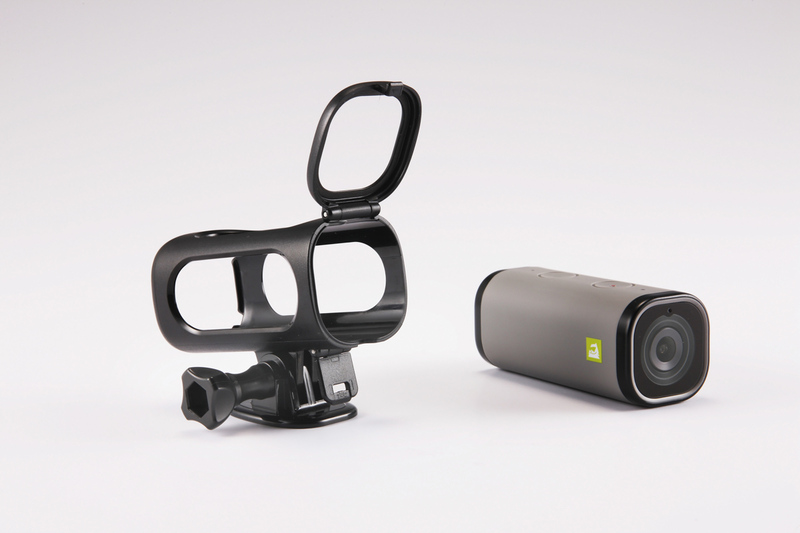 As for recording, the Action CAM LTE sports a 1/2.3-inch 12.3MP wide-angle lens (150-degree) at 1.55×1.55 micron pixels and can record in UHD (4K) at 30 frames per second, full HD (1080p) at 30 or 60 frames per second, and HD (720p) 30, 60, and 120 frames per second. If you want to take advantage of live streaming, you are looking at just HD (720p) at 30fps. The rest of the specs include that previously mentioned Snapdragon 650 processor, 2GB RAM, 4GB onboard storage, microSD slot (up to 2TB), IP67 rating, GPS, accelerometer, LTE, 3G, WiFi, Bluetooth 4.1, and a USB Type-C port. The full list of specs can be found at the bottom of the press release below. The LG Action CAM LTE is available today in Korea and will arrive in other countries at some point…maybe…but there is absolutely zero guarantee of it if we take into account the history of other LG Friends. SEOUL, July 19, 2016 ― LG’s latest Friend smartphone companion device rolls out today in South Korea to be followed by other key markets in the weeks to come. 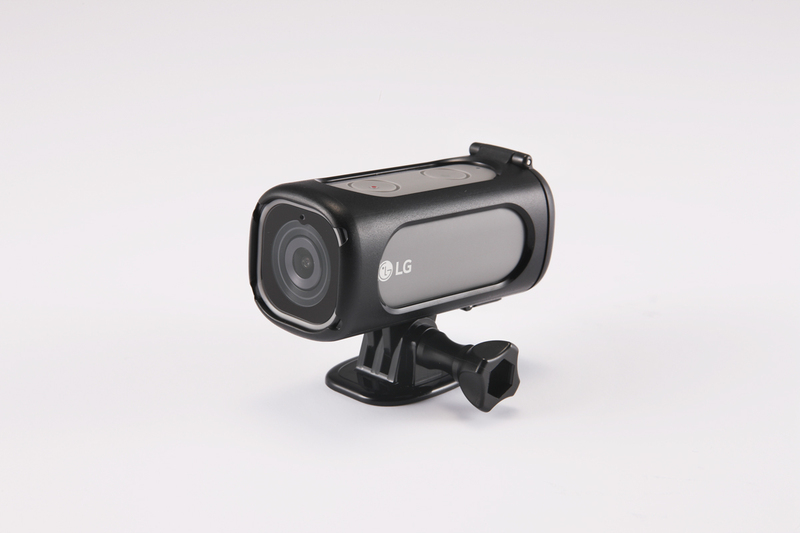 LG Action CAMLTE offers robust features that allow for filming in dynamic environments and its built-in LTE connectivity, powered by the Qualcomm Snapdragon™ 650 processor, means users can stream directly to sites such as YouTube Live via wireless 3G or 4G networks. Rated IP67, LG Action CAMLTE is dust- and sand- proof allowing it to be immersed in up to one meter of water for up to 30 minutes. 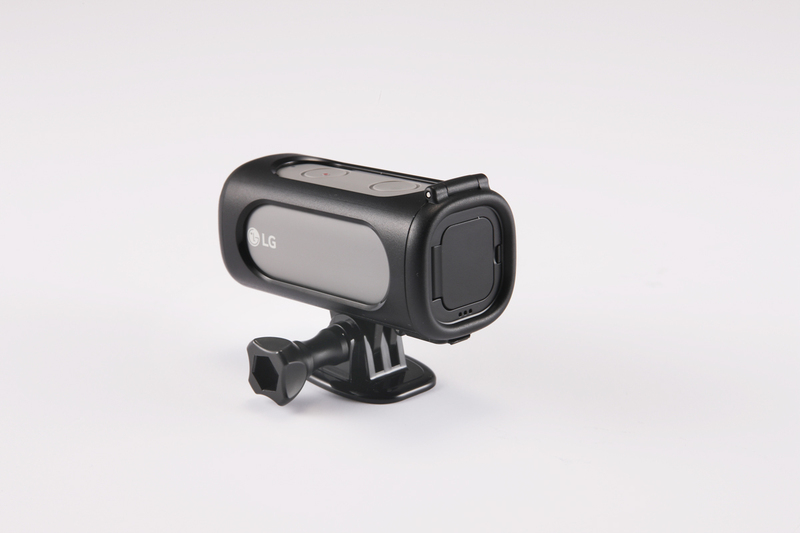 In addition to the included mount, this rugged camera is compatible with various third party action camera mounts and accessories to capture smooth footage while attached to helmets or moving vehicles. “LG and Qualcomm Technologies have worked closely together over the years, and we are delighted that LG is extending the Snapdragon relationship, adding the LG Action CAMLTE to the existing 360 CAM and of course the amazing G5 itself,” said Anthony Murray, senior vice president and general manager, IoT, Qualcomm Technologies International, Ltd. Earlier this year, LG organized developer conferences in Korea and the United States and distributed an SDK to encourage development of LG Friends as well as sponsoring a competition to attract the best Friends ideas. Price and exact date of availability will be announced locally. * Feature to be available with upcoming software update.